Gutters and leaders are an intregal part of the roof system. Their main function is to move water down and away from the house. If they are rotted, pulling away from the house, filled with debris or iced over, they cannot function properly. This causes water to back up and come through the roof and into the home. 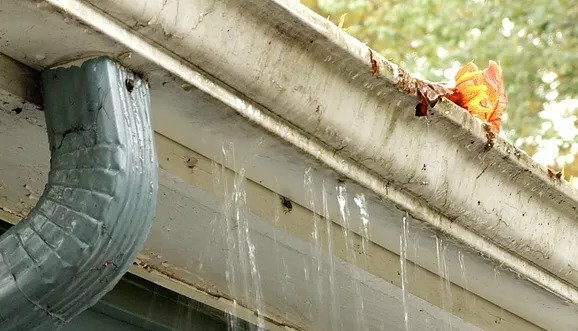 As expert gutter and leader repair contractors in Union, Essex, Middlesex and Hudson Counties Michael J Harris has cost effective solutions for keeping gutters free of debris. The days of homeowners climbing up a ladder to clean them out by hand are in the past. It is an extremely dangerous activity since the roof can be 20 feet in the air. A fall from this height can be fatal. 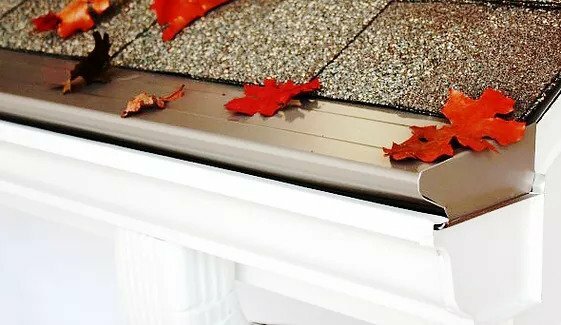 Instead, as expert installers of gutters and leaders, we also install “gutter guards.” They are a solid protective layer that fits over the gutter with small holes on the top, allowing water in, but keeping leaves and other debris out. We only use the Gutter Shield brand because it is the highest quality product and is permanent.